If you have an Android device you have probably heard about APK files at some point and you may have wondered what that is. Today we explain what the APK files are , how to download them and how to install them. If you have an Android device you have probably heard about APK files at some point and you may have wondered what that is. Understanding it is essential if we want to test applications or customize our Android beyond what the Google Play Store offers us. Today we explain what the APK files are, how to download them and how to install them. An APK or file with the .apk extension contains an application for the Android operating system. It is an acronym for your name in English A ndroid A p plication Pac k age. It is very similar to the executable files we have in Windows (.exe or .msi) from which we install software. The APK format is basically a compression format similar to the ZIP and inside it contains all the necessary files for an Android application to work. In summary, an APK file contains, in most cases, the installer for applications or games. With these files you can get applications outside of Google Play. APK files allow us to install applications outside of Google Play. Thanks to these APKs we can get filtered apps, versions of applications different from those offered by Google Play, friends’ apps or opensource applications that are not published in the Google Play Store. So APK means having things that only a few have, new and interesting Apps that would not otherwise be accessible. To install APK files on our smartphone or tablet, we first have to download the file from the internet. 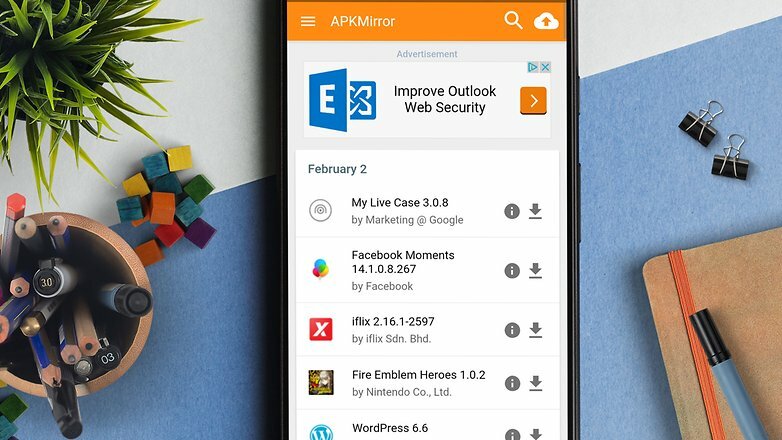 There are several sources to get APKs with applications from APK Mirror, for example, or upToDown. But beware when installing APK of paid applications because they may contain viruses, malware or be malicious applications. In my opinion the best option is F-Droid with open source and free APKs, with quality and trust. In order to install an APK file we must first disable a security option. Android is configured by default so that only Google Play applications are installed. To activate the installation of applications with unknown origins we must enter Settings> Security and mark the option of Unknown Sources. We will have a warning with the risks and we must accept to activate the option. Now we can search the APK file on our smartphone or if we have downloaded it from the download notification. Now you just have to select it and the application installer will launch automatically, click on install and it will take a while to install depending on the size of the application.